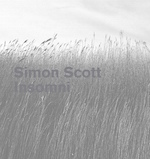 Cambridge based Simon Scott returns with his beautifully packaged fourth album of atmospheric digital and organic sounds; that concentrate on the environment in which he resides. Opening with ‘An Angel from the Sea Kissed me’, there is an immediacy that grabs the listener, as a swell of distorted guitars weave their way through a wash of pads. My only gripe is that they overtake the proceedings, drowning out the subtleties at some key points; but nevertheless, push all my buttons in a Fennesz type fashion. Scott blends a multitude of field recordings into his work; but where others fail, he is successful in not relying on these as his sole source of production, leaving his pure skill of musicianship to speak for itself. Along the way we are treated to dramatic seas of Dark Ambient, resonating drone work and blissful passages of pads and soul-searching guitar. The generous mix as the album progresses, touches on many an emotion; many of which reflective. Unsurprising to learn that Scott is a freelance composer and has done much work for sound and television; also that he was part of Slowdive who worked with Brian Eno on his 1993 ‘Souvlaki’ album. Either way, Simon deserves his own stage and I highly recommend you check him out. For years Christian Fennesz has astounded listeners with a variety of work that transcends modern electronica, influencing many artists and in some ways being a legitimate Godfather of the scene. Official soundtracks can often be hit and miss, with more direction on short pieces in the order in which they play out through the film they accompany. Luckily Fennesz has provided actual full pieces of work to be listened to in their own right. 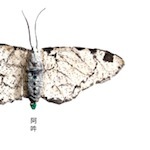 ‘AUN-The beginning and the end of all things’, follows the thought processes of Claude Lévi-Strauss when piecing anthropological essays throughout the 20th century and Japanese Shintoism. I have to admit to not seeing the movie, but as I am completely taken with this release, I may be more inclined to hunt the actual film down. Careful attention to subtle ambience is the main body of this soundtrack. As always, Fennesz expresses his undeniable talent when it comes to reverberation and space, allowing each instrument to hit its own stride and essentially take its sole spotlight on the podium when needed, from beautiful, raindrop infused piano to sunlight infused acoustics. Literally, this album is one of the highlights of the year so far; an aural accomplishment that should be revered and applauded for standing its ground, never pandering to any given genre and dancing to its own tune.